This feed's current articles are shown below. Subscribe for updates to all the content available in this feed, or click through here to see the original article. 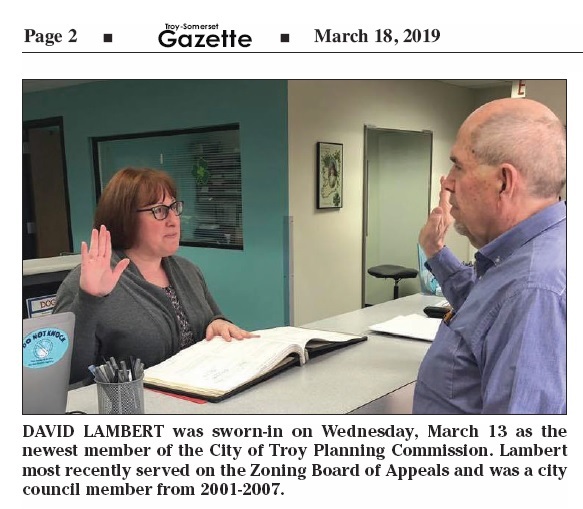 Thank you Mayor Dane Slater for appointing me to the City of Troy's Planning Commission! Also, thank you to the other Councilmembers (Dave Henderson, David Hamilton, Ethan Baker, Ed Pennington, Ellen Hodorek, and Edna Abrahim) who voted to approve the Mayor's appointment. meeting to YouTube. At the bottom of this post is the video. Click here to download the entire Agenda Packet from the February 19th meeting. There was one item on the agenda. Action taken on that item is listed below. 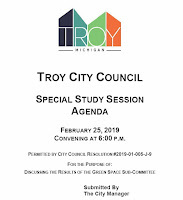 City staff has posted the video recording of the 1/15/19 Troy Zoning Board of Appeals (ZBA) meeting to YouTube. At the bottom of this post is the video. 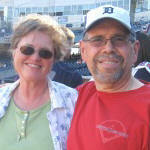 Click here to download the entire Agenda Packet from the January 15th meeting. Looking back at 2018 on my Instagram page. 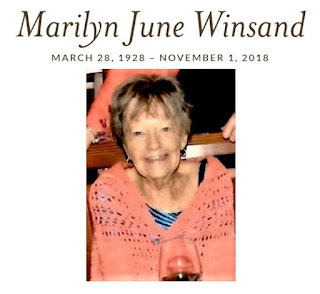 My mother-in-law, Marilyn Winsand, passed away on November 1, 2018. "Precious in the sight of the Lord is the death of his saints." Last Sunday (12/23/18), I had the opportunity to meet and talk with best selling author David Pietrusza at Troy's Starbucks at Rochester & South Blvd. A noted presidential scholar, Pietrusza has written or edited over three dozen books. Check out his web page at DavidPietrusza.com. 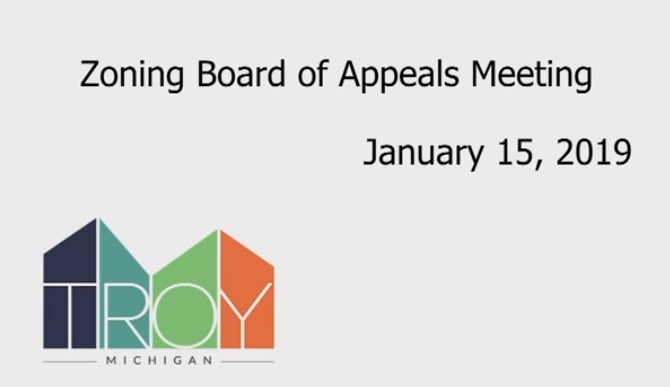 City staff has posted the video recording of the 12/18/18 Troy Zoning Board of Appeals (ZBA) meeting to YouTube. At the bottom of this post is the video. 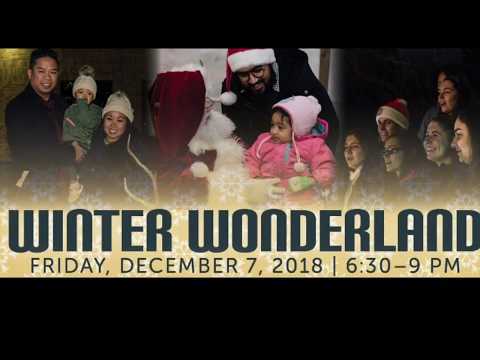 Click here to download the entire Agenda Packet from the December 18th meeting. There were four items on the agenda. Action taken on the items is listed below. 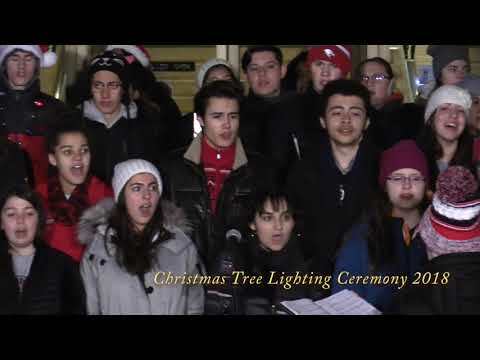 Below is my video from the 12/7/18 City of Troy Christmas Tree Lighting Ceremony. 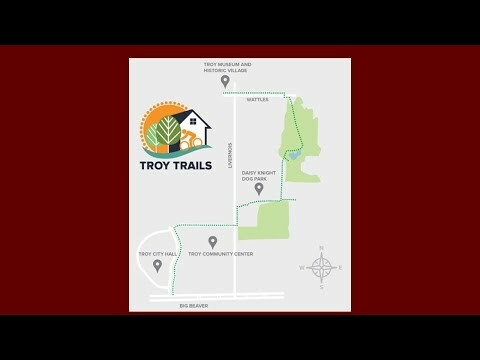 Below is the more professional video produced by City of Troy staff. City staff has posted the video recording of the 11/20/18 Troy Zoning Board of Appeals (ZBA) meeting to YouTube. At the bottom of this post is the video. Click here to download the entire Agenda Packet from the November 20th meeting. 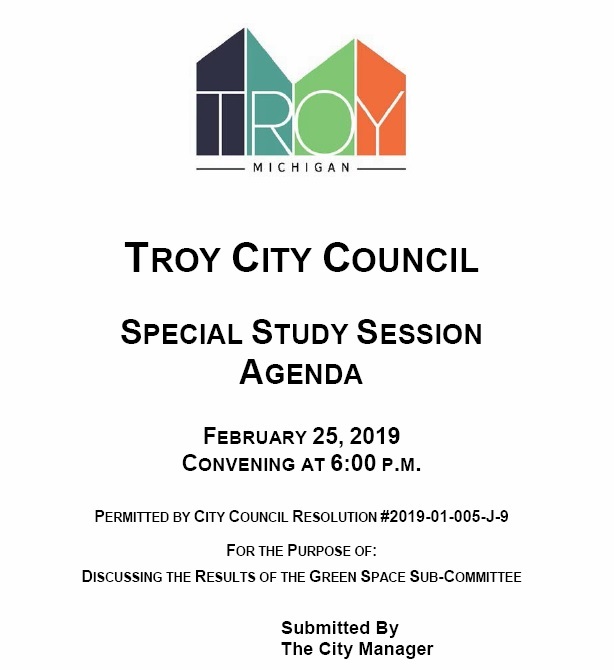 2/28/19 Update: Click here for information from the Green Space Subcommittee results presentation at the 2/25/19 Troy City Council Study Session. City staff has posted the video recording of the 10/16/18 Troy Zoning Board of Appeals (ZBA) meeting to YouTube. At the bottom of this post is the video. Click here to download the entire Agenda Packet from the October 16th meeting. There were two items on the agenda. Action taken on each item is listed below. City staff has posted the video recording of the 9/18/18 Troy Zoning Board of Appeals (ZBA) meeting to YouTube. At the bottom of this post is the video. Click here to download the entire Agenda Packet from the September 18th meeting. City staff has posted the video recording of the 8/21/18 Troy Zoning Board of Appeals (ZBA) meeting to YouTube. At the bottom of this post is the video. Click here to download the entire Agenda Packet from the August 21st meeting. There were four items on the agenda. Action taken on each item is listed below. City staff has posted the video recording of the 7/31/18 Troy Zoning Board of Appeals (ZBA) meeting to YouTube. At the bottom of this post is the video. Click here to download the entire Agenda Packet from the July 31st meeting. There was one item on the agenda. Actions taken on that item are listed below. 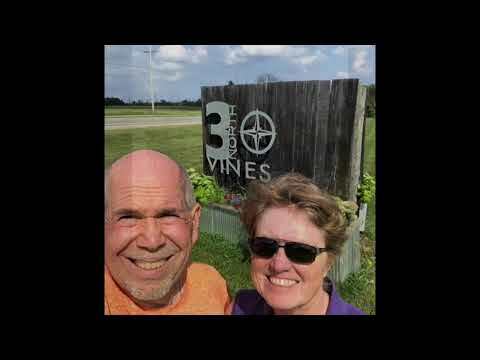 8/2/18 UPDATE: The official ribbon-cutting was yesterday (8/1/18). Since I wasn't able to attend the event, I've posted Mayor Slater's photos below that appeared on his Facebook page. City staff has posted the video recording of the 7/17/18 Troy Zoning Board of Appeals (ZBA) meeting to YouTube. At the bottom of this post is the video. Click here to download the entire Agenda Packet from the July 17th meeting. City staff has posted the video recording of the 5/15/18 Troy Zoning Board of Appeals (ZBA) meeting to YouTube. Click here to download the entire Agenda Packet from the May 15th meeting. There was only one item that was considered. Action taken is listed below. 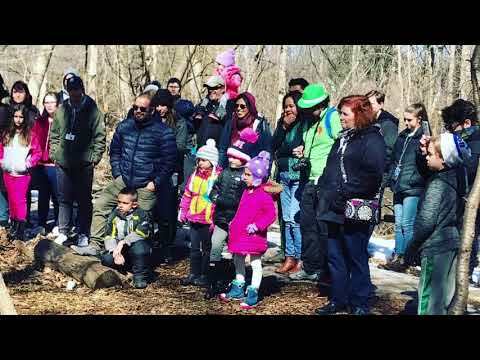 City staff has posted the video recording of the 4/17/18 Troy Zoning Board of Appeals (ZBA) meeting to YouTube. At the bottom of this post is the video (ignore the date on the video - it's incorrect). Click here to download the entire Agenda Packet from the April 17th meeting. 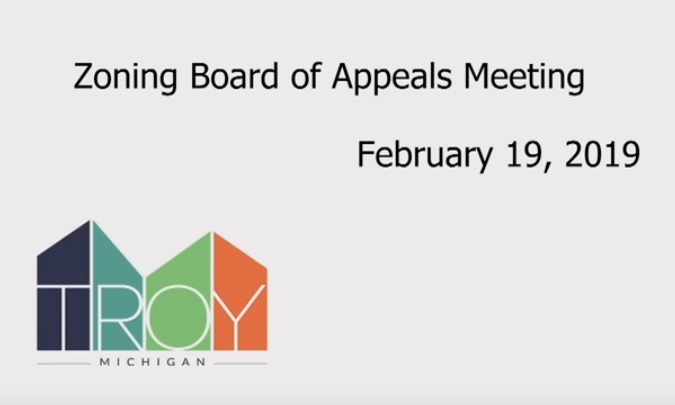 City staff has posted the video recording of the 3/20/18 Troy Zoning Board of Appeals (ZBA) meeting to YouTube. At the bottom of this post is the video. Click here to download the entire Agenda Packet from the March 20th meeting. Browser-Friendly feed by FeedBlitz RSS Services, the premium FeedBurner alternative.